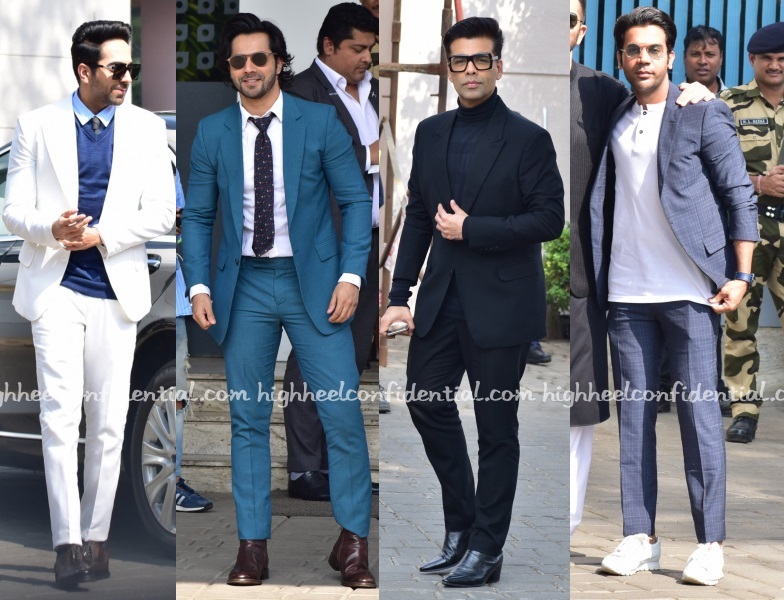 Karan Johar picked a Tom Ford suit at the Lux Golden Rose Awards. After seeing him in bling-y, floral outfits of late, this metallic tuxedo was a good change of pace. 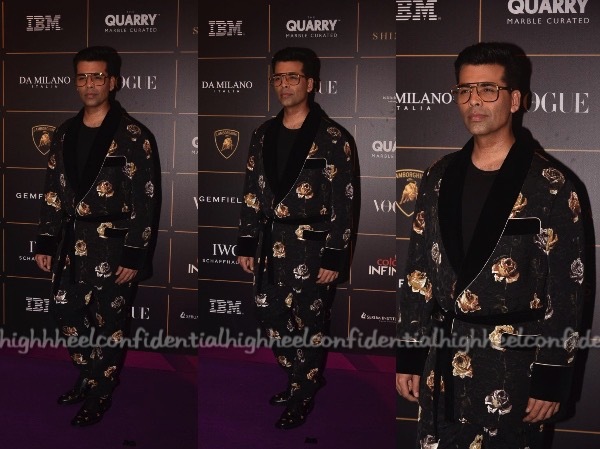 Karan Johar hosted the Vogue Women of the Year awards, wearing a Dolce & Gabbana floral suit. 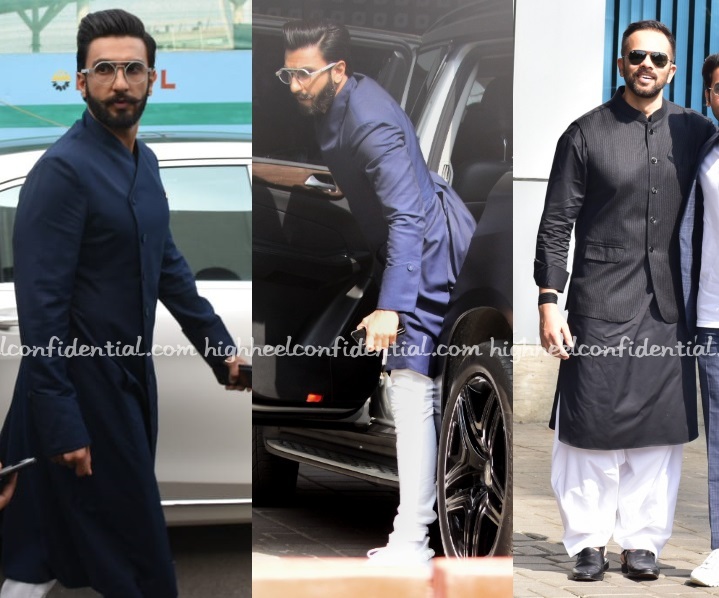 I quite liked the Pajama-esque separates, they sure did stand out amongst all the solid colored & classic suits.